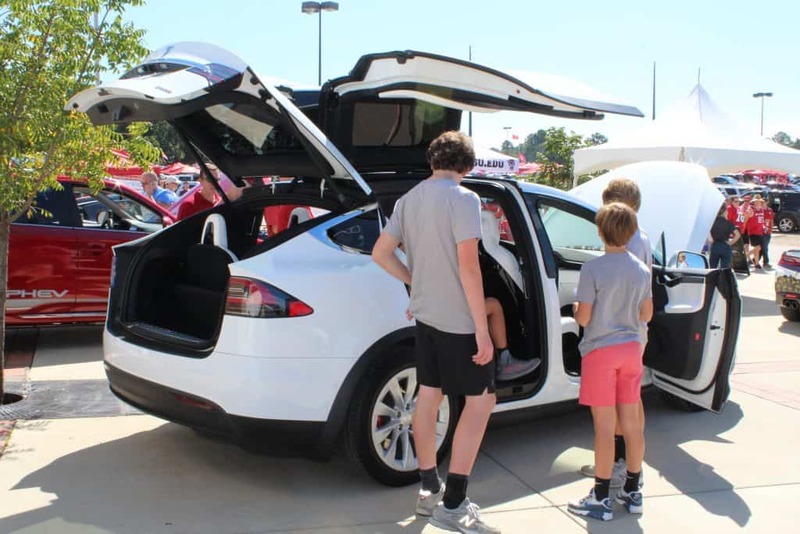 EnergyWire recently featured an article “7 Takeaways From a Wild Year for EVs,” covering the biggest news related to electric vehicles in 2018. While electric vehicles are still mostly absent from showrooms, the article stated, signs of progress were apparent in many places last year. 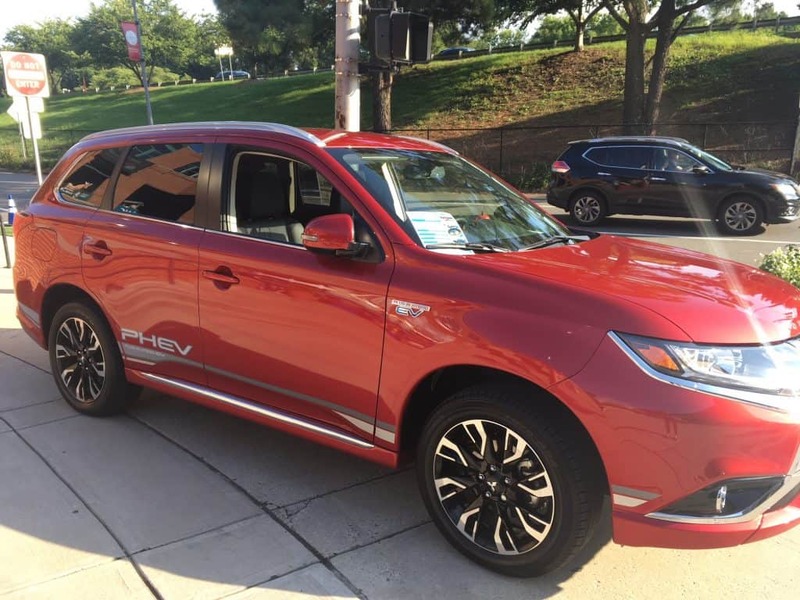 In the U.S., the 1 millionth EV was sold, and battery prices continued to drop. 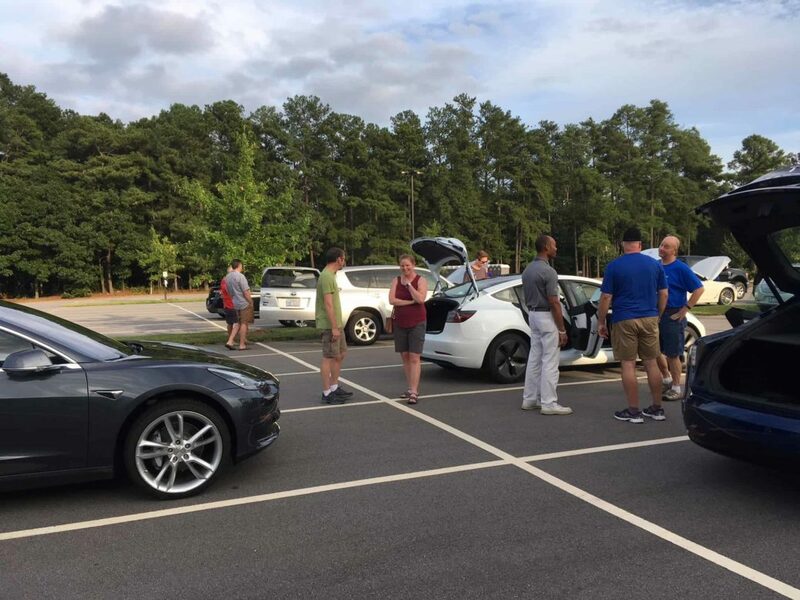 Tesla news: Despite controversy involving Elon Musk’s negative publicity, Tesla hit its 5,000-a-week goal in September, and the Model 3 is by far the top-selling pure-electric car in the US. New EV pickup truck in the works: Rivian, an auto technology startup, is producing an all-electric pickup truck and SUV with a large amount of specs, including 400 miles on a charge, towing 11,000 pounds, and more. It is expected to arrive around year 2020 or later. EV charging gets funding: Investment is coming from several quarters, including Volkswagen. Major utilities, seeing an opportunity to sell electrons, are also getting in on the act. Policymakers and regulators get on board: Many policymakers around the country have made major transportation announcements, including Gov. Jerry Brown calling for California to add 5 million EVs by 2030. “Invasion of the scooters”: Electric scooters have spread to dozens of cities and have been ridden millions of times, and the companies making them are now worth billions of dollars. 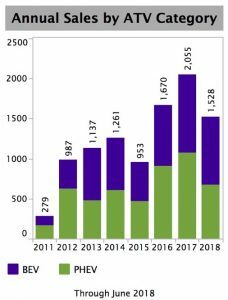 Heavy vehicles make progress: The falling cost of batteries and changing attitude toward carbon emissions and policy changes have moved up the timeline for electric buses and trucks. 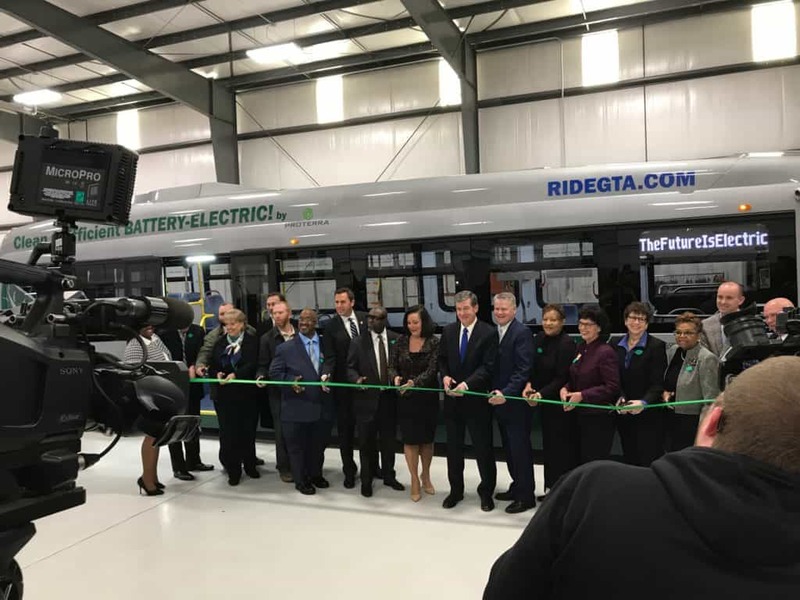 Dozens of school districts and transit districts also announced they are buying electric buses. Incumbents step in: GM announced it would lay off thousands of workers, and one reason for it was to double its investment in electric and autonomous vehicles in the next two years. 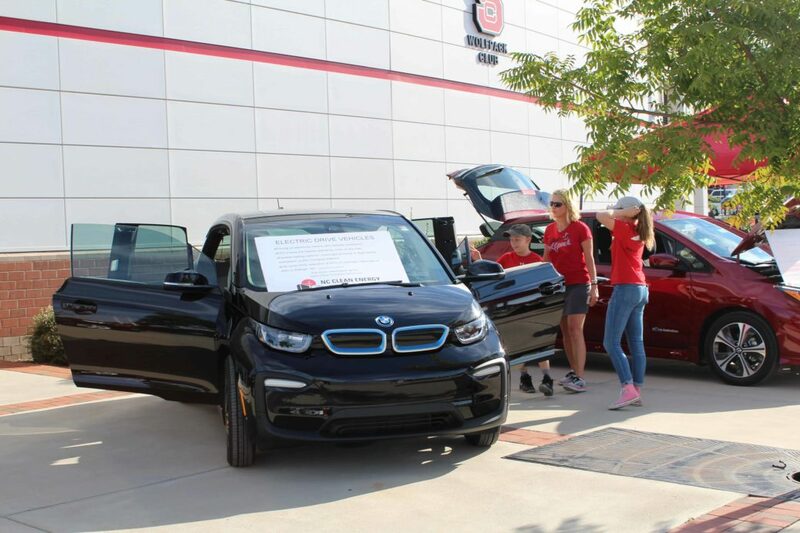 President Trump expressed negative opinions on electric vehicles, and a bill to kill the $7,500-per-vehicle EV tax credit was introduced. 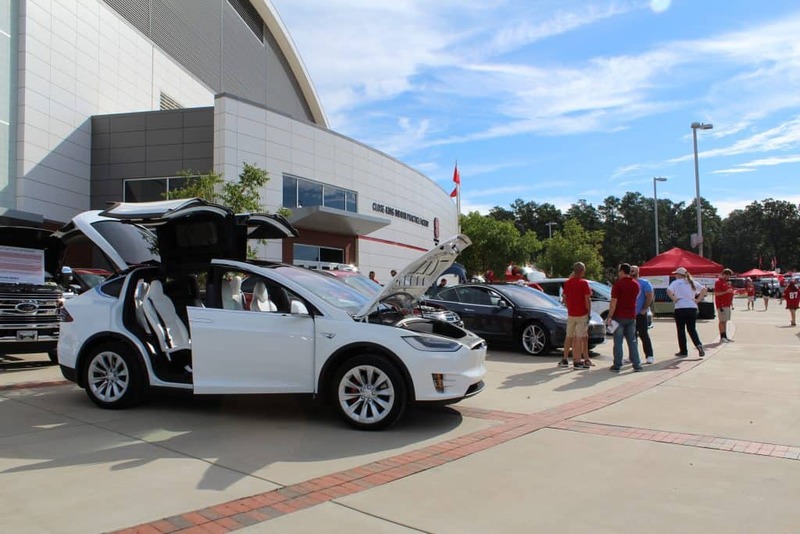 Worldwide and in the United States, electric vehicles had a big year of news and changes – and the state of North Carolina was no exception. 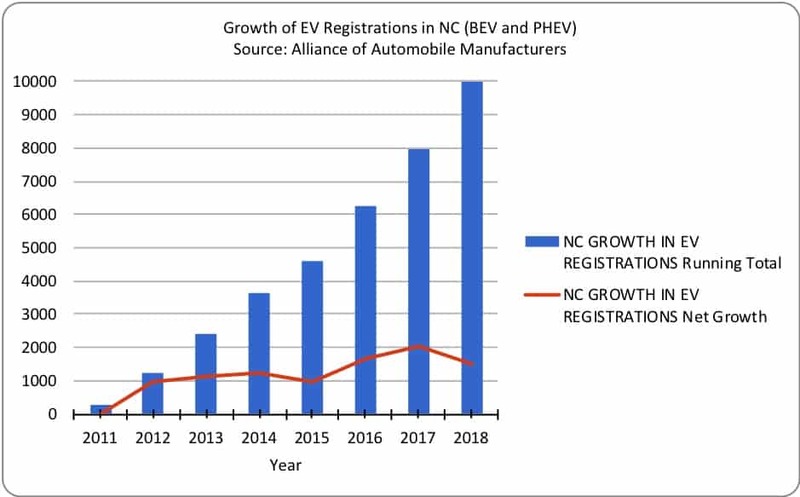 Total EV registrations (both plug-in hybrid electric vehicles and battery electric vehicles) in North Carolina were at 7,946 in 2017, and in 2018, the numbers jumped to 10,001 just through June, representing a 26 percent growth, according to EVadoption.com. 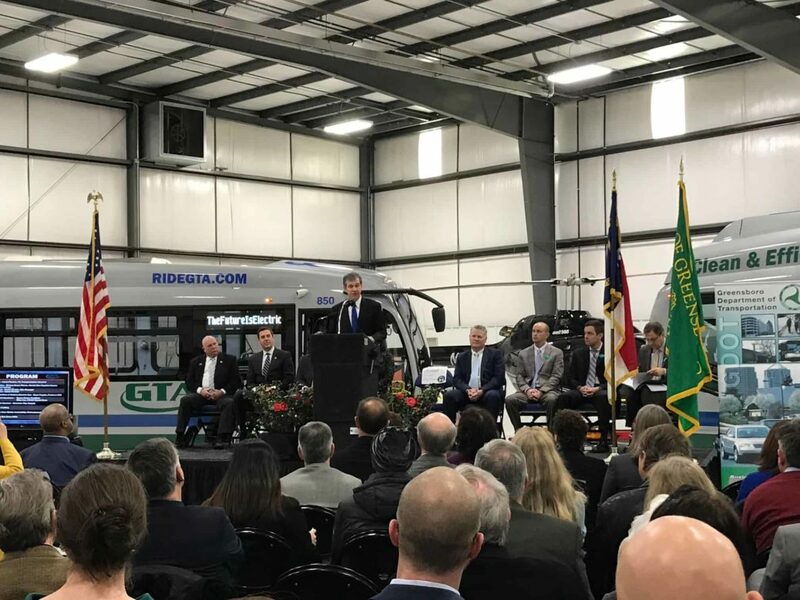 In August 2018, the US Department of Transportation announced that North Carolina’s City of Greensboro, the Research Triangle Regional Public Transportation Authority (GoTriangle), and Chapel Hill Transit were to be awarded a total of $4,225,000 in federal grants for its Low or No-Emission (Low-No) Bus Program Projects, which supports deployment of electric buses into their fleets. 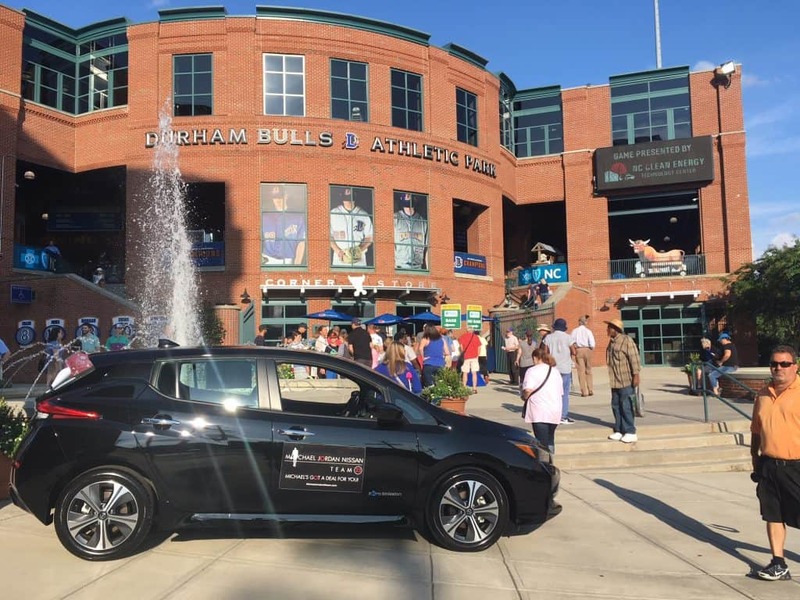 The City of Greensboro received $1,900,000 in funds to replace older vehicles with battery electric buses and purchase charging stations. The Research Triangle Regional Public Transportation Authority (GoTriangle) received $943,000 to purchase battery electric buses to replace older vehicles at the end of their useful life. 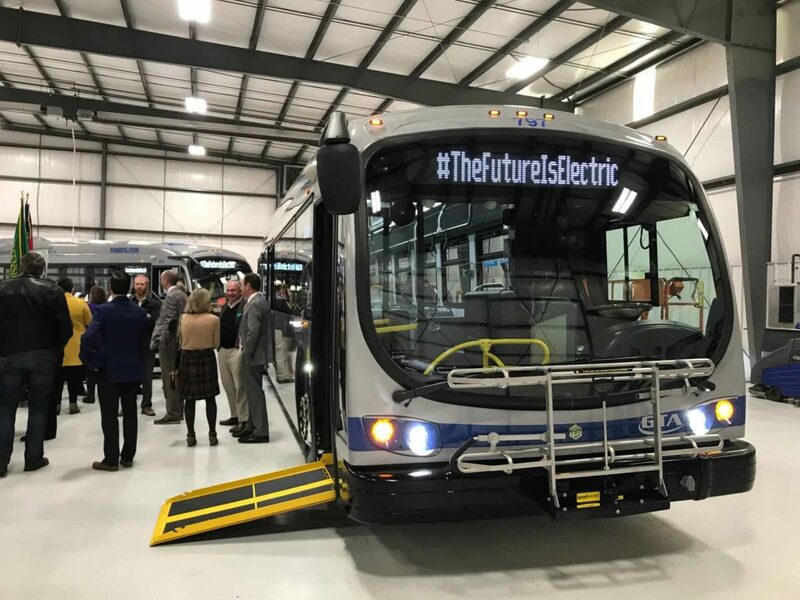 Chapel Hill Transit received $1,382,000 to purchase battery electric buses to replace the oldest vehicles in their fleet. Gov. 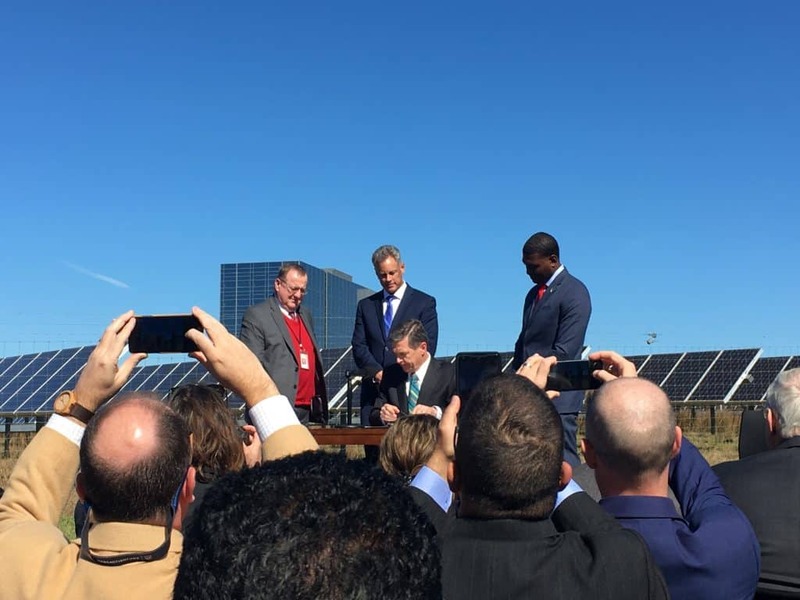 Roy Cooper signs Executive Order 80 in Cary, NC in October 2018. 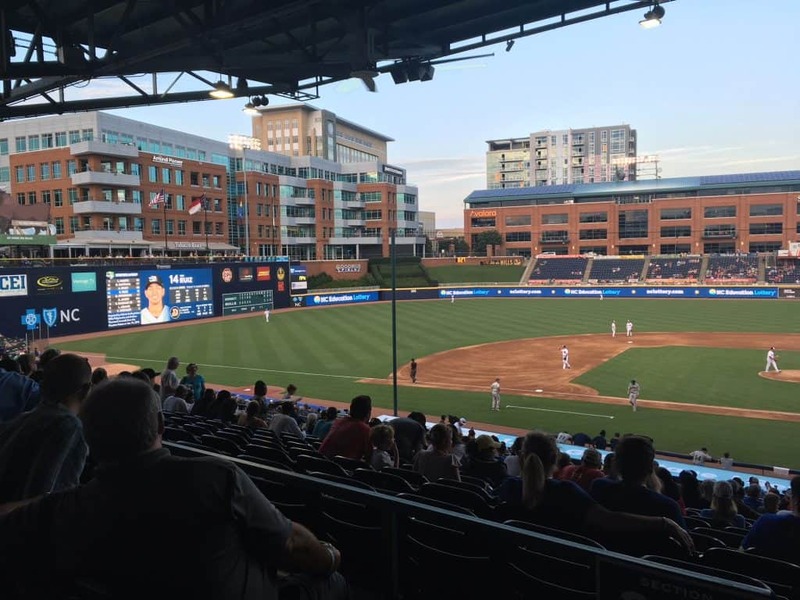 In October 2018, North Carolina Governor Roy Cooper issued Executive Order 80, which calls for the State of North Carolina to protect its environment while growing clean energy technologies. 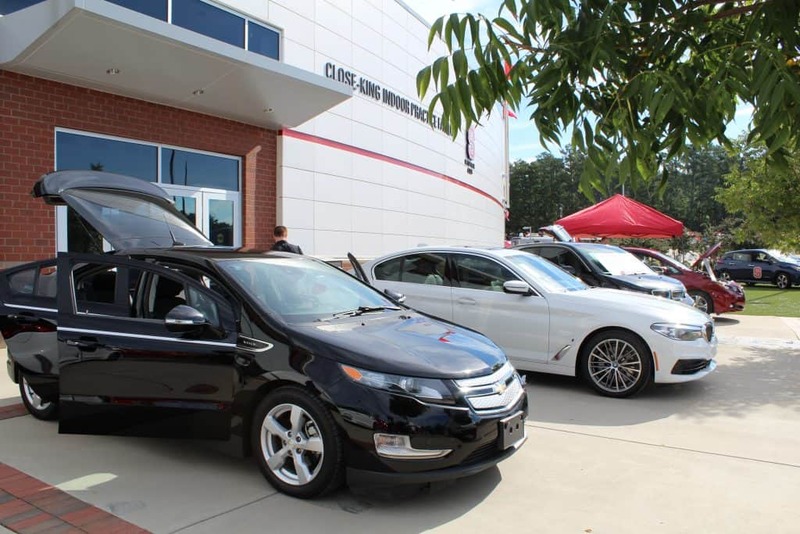 Cooper called for the number of zero-emission vehicles (“ZEVs”) to grow at least 80,000 by year 2025, according to a press release from Gov. Cooper. 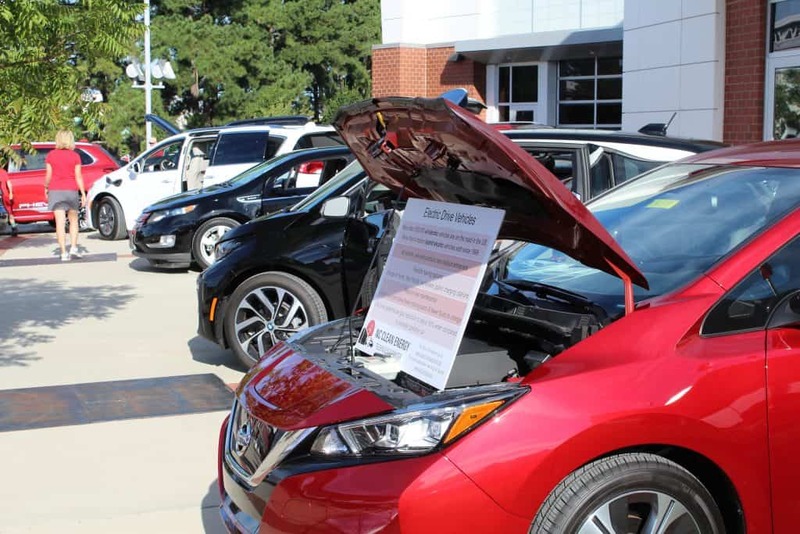 Also in 2018, NCCETC unveiled new EV policy research tools with DSIRE Insight, which provides research and analysis services to energy industry professionals. 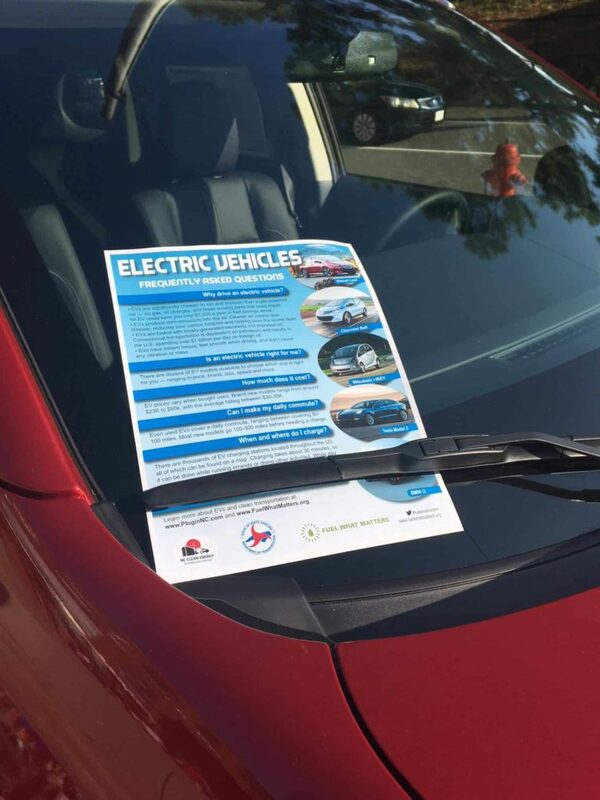 These reports provide concise, useful information concerning state legislative and regulatory developments, along with actions on electric vehicles and charging infrastructure. The series of quarterly reports is available by subscription here. 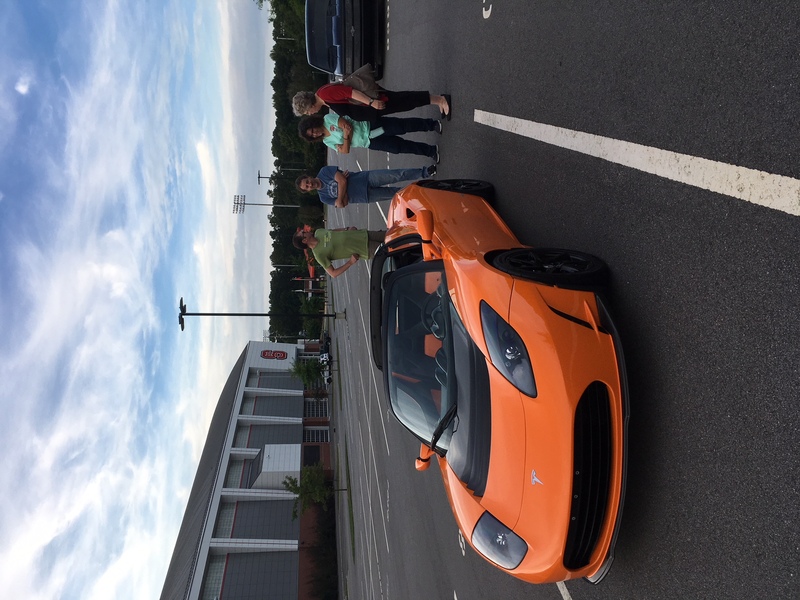 Check out last year’s 50 States of Electric Vehicles reports here. 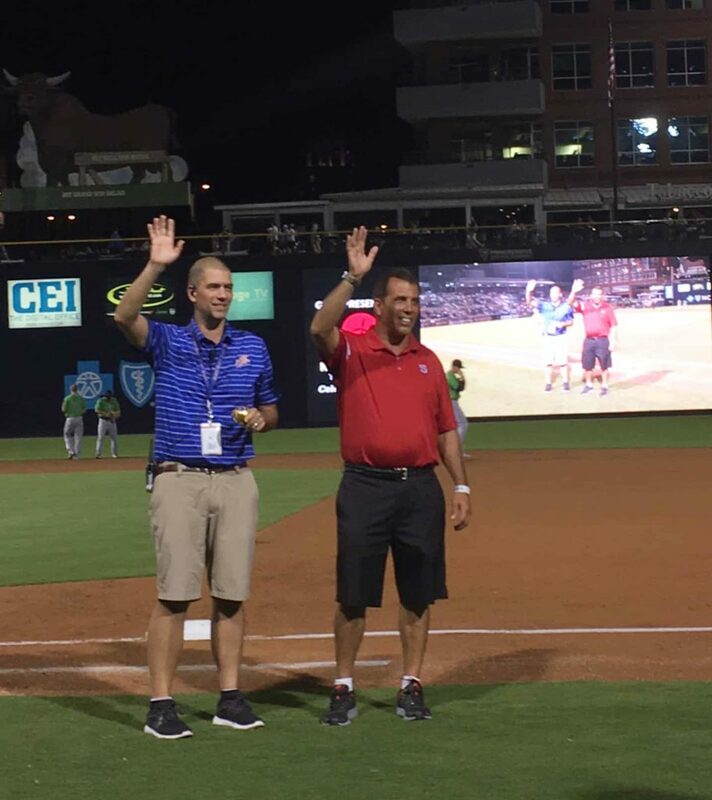 The complete 2018 Annual Review will be available at the end of January 2019, and can be found on the same webpage or on www.FuelWhatMatters.org. 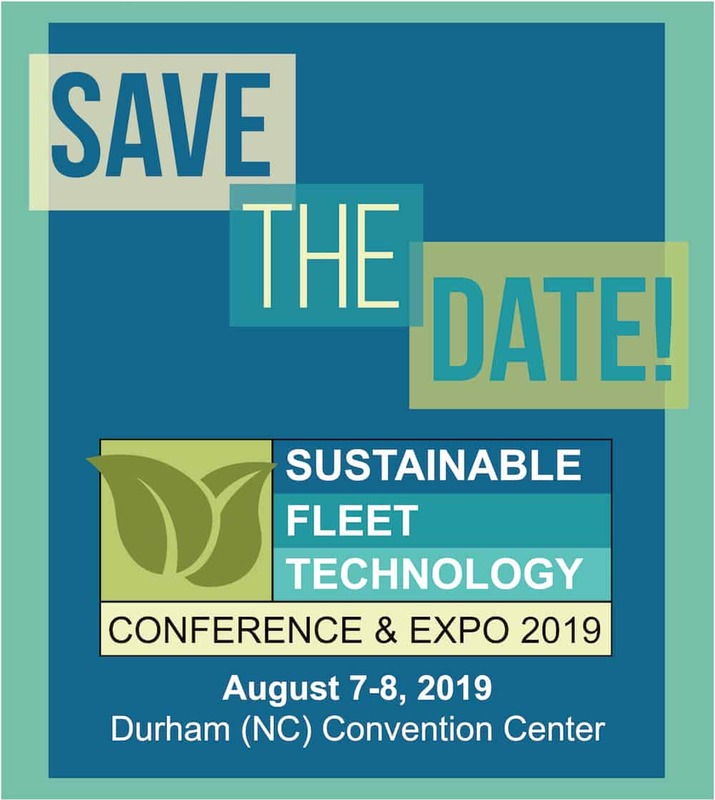 Save the date for the 3rd annual Sustainable Fleet Technology Conference, August 7 & 8, 2019 in Durham, NC! 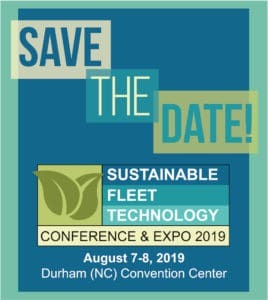 The conference provides an opportunity for fleets and transportation professionals to experience the latest vehicle technology, tools, and resources designed to increase efficiency and reduce emissions. The event will include keynote presentations, 50+ panelists, breakout sessions, indoor vehicle/equipment display, and plenty of networking opportunities. 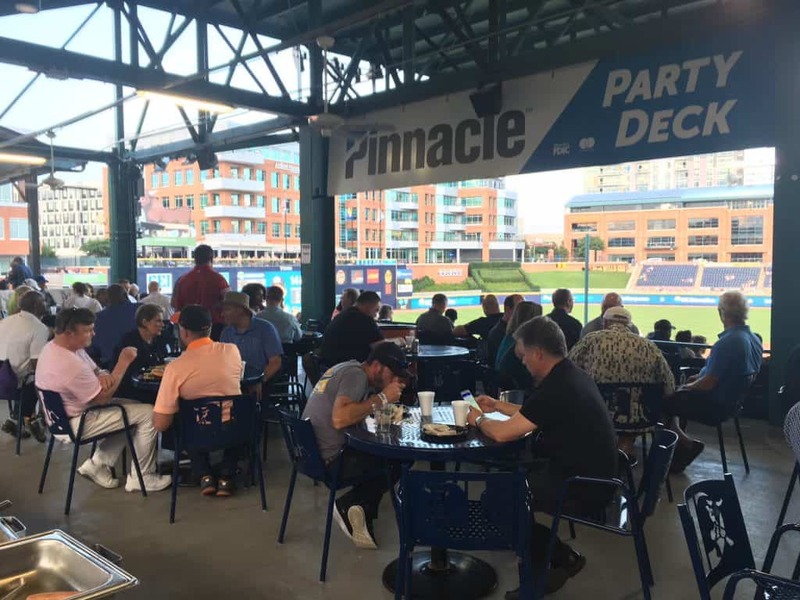 Pre-conference events will take place August 6, which will include the Green Fleet Awards Forum along with the NC Smart Fleet and Mobile Care Awards! Stay tuned for more updates! 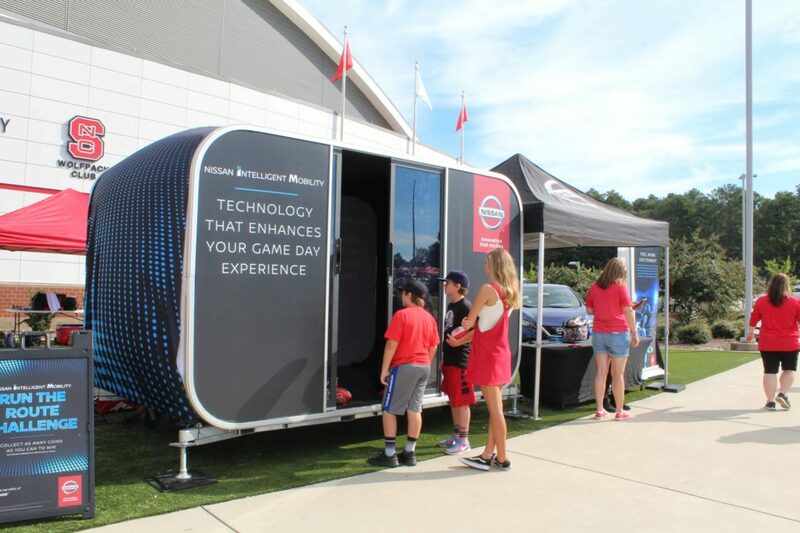 For more information, visit the website, and contact Allison Carr at akcarr@ncsu.edu or 919-515-9781 for any questions. 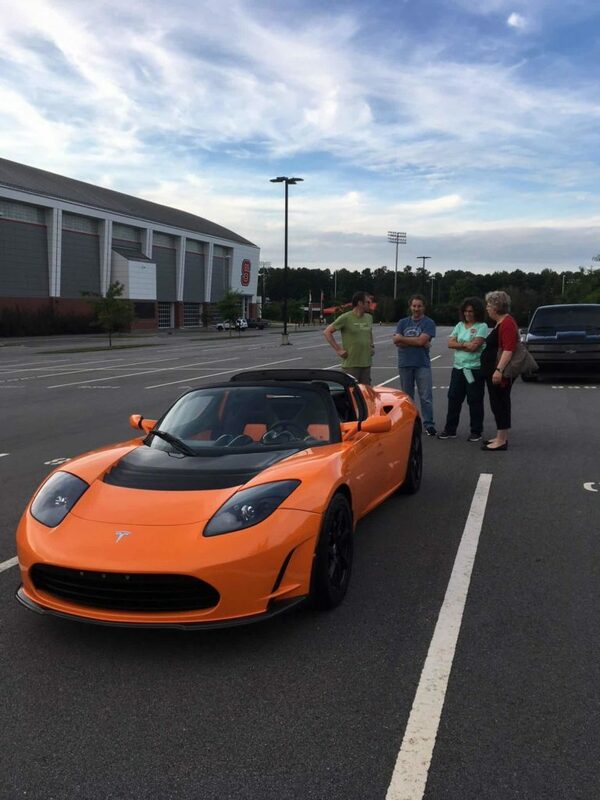 Raleigh, NC – (November 7, 2018) The N.C. Clean Energy Technology Center (NCCETC) released its Q3 2018 edition of The 50 States of Electric Vehicles. 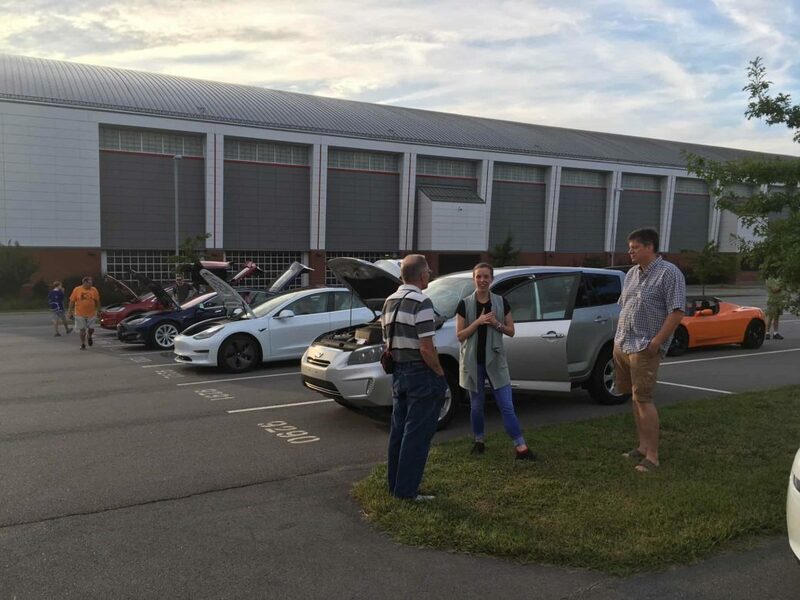 The quarterly series provides insights on state regulatory and legislative discussions and actions on electric vehicles and charging infrastructure. The report finds that 32 states and the District of Columbia took actions related to electric vehicles and charging infrastructure during Q3 2018 (see figure below), with the greatest number of actions relating to Level 2 charging station deployment, followed by electric vehicle rate tariffs, rebate programs, and DC fast charging station deployment. 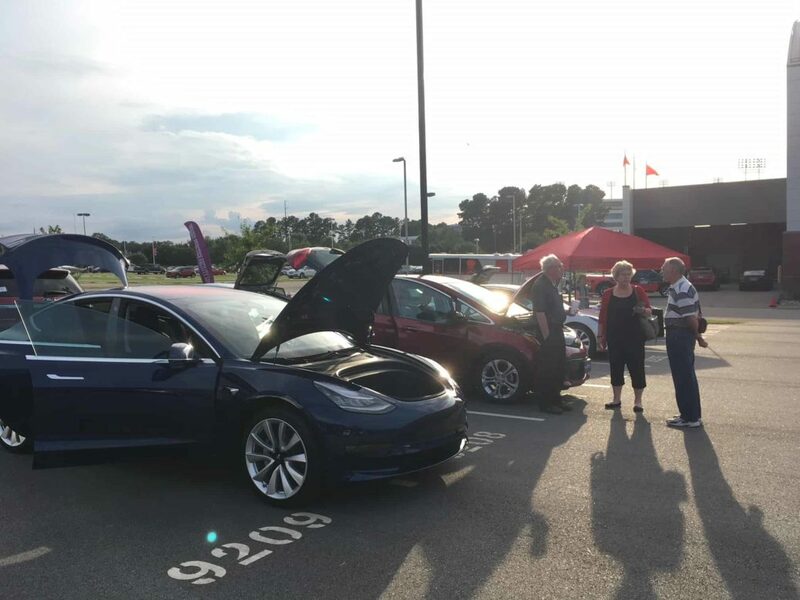 The report notes three trends in electric vehicle activity apparent or emerging in Q3 2018: (1) utilities proposing demand charge alternatives for fast charging stations, (2) electric bus investment ramping up, along with vehicle-to-grid testing, and (3) utilities collecting data on electric vehicle charging patterns. 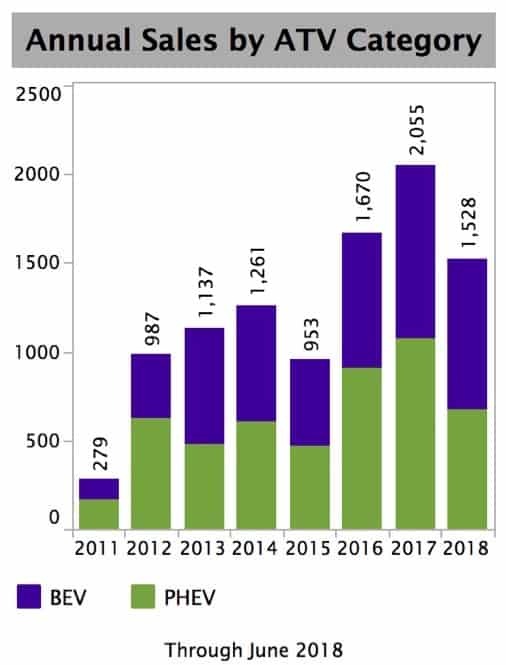 A total of 211 electric vehicle actions were taken during Q3 2018. New Jersey, California, New York, and Massachusetts took the greatest number of actions during the quarter, accounting for over half of the quarter’s activity. 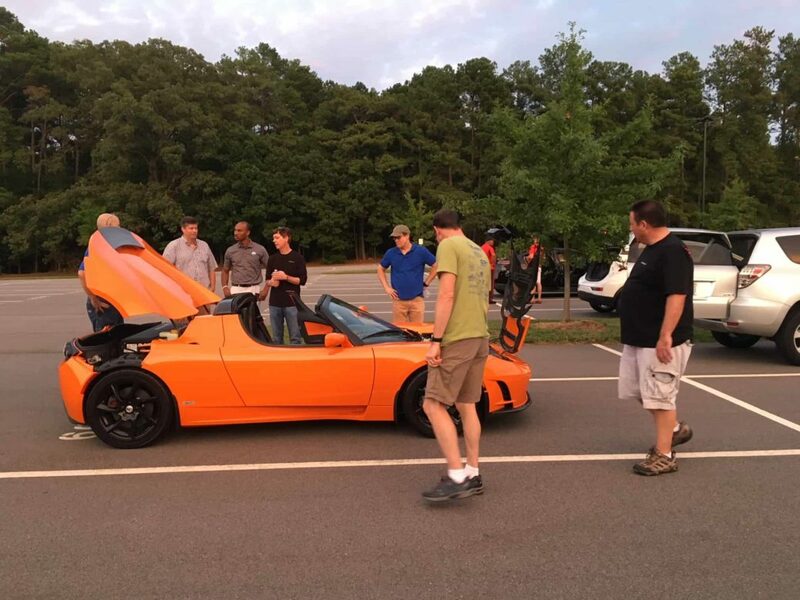 • California utilities filing proposals to deploy charging infrastructure at schools and state parks and beaches. 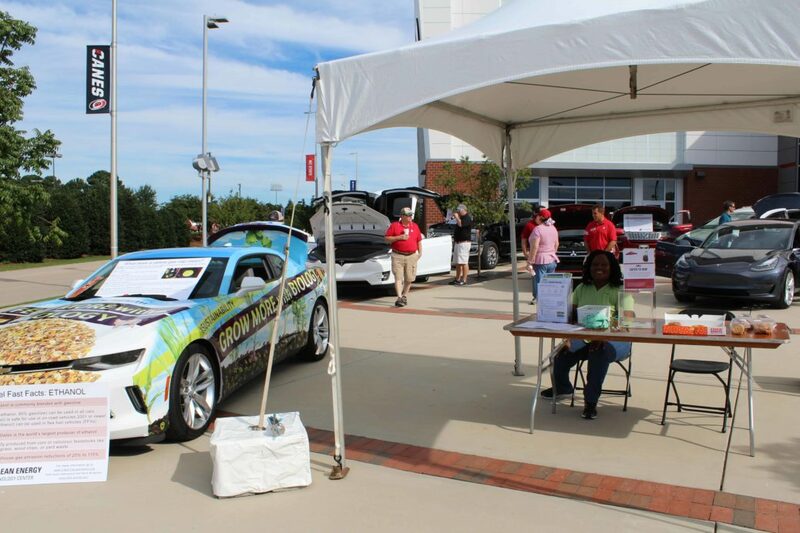 Last Friday and Saturday, the NC Clean Energy Technology Center’s Clean Transportation team ended National Drive Electric Week with an Alternative Fuel Vehicle Demonstration & Tailgate for the NC State vs. Virginia Cavaliers football game. 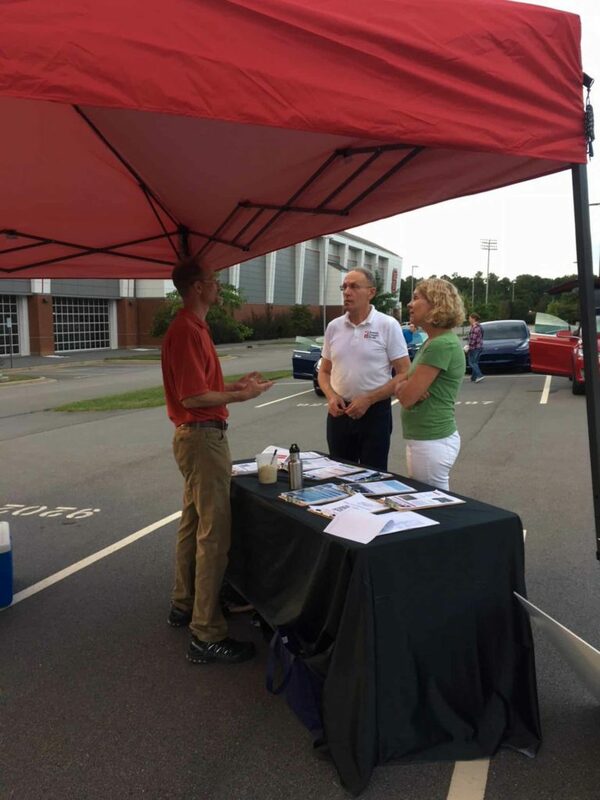 The event began Friday, Sept. 28 with a driver meet-up and car show. 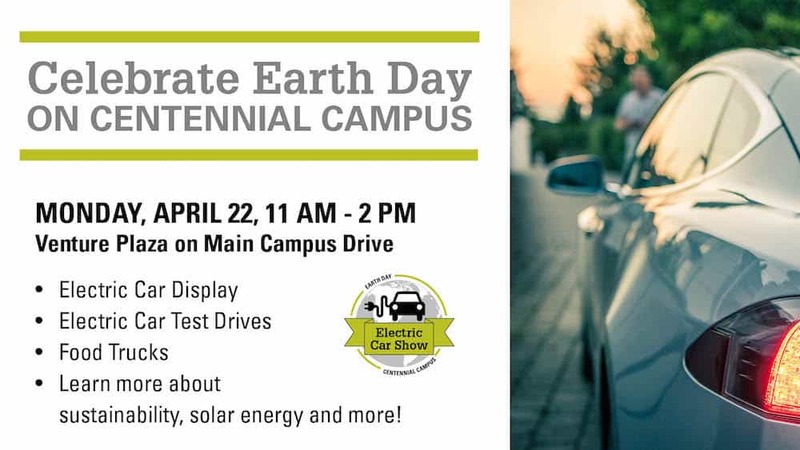 There were about 20 plug-in electric, hybrid and biofuel vehicles on display, both from local dealerships and from electric vehicle owners and enthusiasts, including several Tesla models, BMWs, Mitsubishi, Chevrolet, Chrysler, Toyota and more. 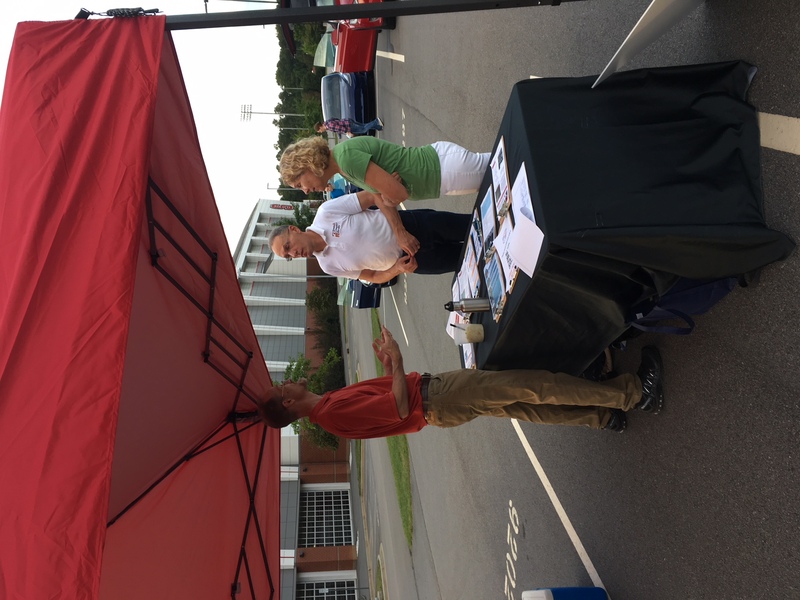 Owners enjoyed showing off their vehicles to guests who were curious to learn more about them, and the Clean Transportation team were able to answer questions and hand out fact sheets and studies done by the Center. 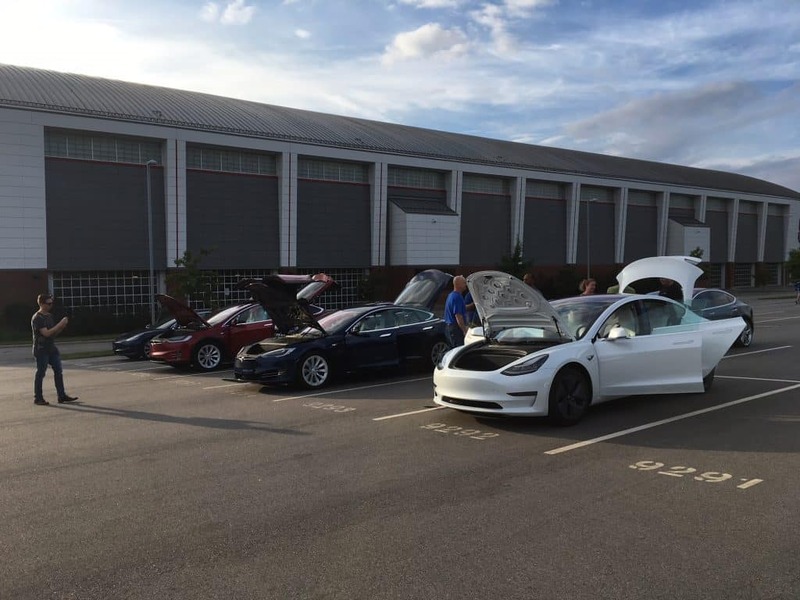 There was even a Tesla Model X that did a dance!